Natalie Rae Looking, age 32, died on Monday, May 14th 2018 at the Billings Clinic Hospital in Billings, Montana from health issues. 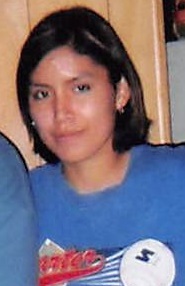 Natalie was born to Annette Reddog on January 18th 1986 in Wolf Point, Montana. She attended and graduated school in Wolf Point. After graduating, she continued to work at Albertson’s for numerous years. During her years working there, she became well known and loved by the community. Natalie loved spending time with her family and friends, making everyone laugh with her sence of humor, telling stories and listening to music. She was preceded in death by her mom Annette Reddog; grandparents Ervin and Bessie (Looking) Reddog; several aunts, uncles and cousins. Natalie is survived by her two sisters Leann and Josh Lien (nephews James and Jacob Lien) and Jennifer and Jared Smith (nephew and niece Marcus and Alissa Pabon); Aunts, uncles and numerous cousins. A wake will be held at 7:00 p.m. on Thursday, May 17, 2018 at the New Community Hall in Wolf Point. A funeral will be held at 12:00 p.m. on Friday, May 18, 2018 at the New Community Hall in Wolf Point. Interment will follow at King Memorial Cemetery. Clayton Stevenson Memorial Chapel of Wolf Point has been entrusted with the arrangements. Condolences can be sent to the family by using the form below. LeAnn , Josh, and boy’s. So sorry for your loss. I knew Natalie when she worked @Albertsons. She was always so kind and had a great smile. May our good Lord Jesus give you comfort during this time. In my thoughts and prayers. Sending my prayers and condolences to the family. My condolences she will be missed she was a beautiful soul ho on the wings of angels my friend until we meet again never forget you . Thoughts and prayers to Natalie’s family. Natalie was always so kind when I would see her and an old classmate of mind. Rest in peace, girl!